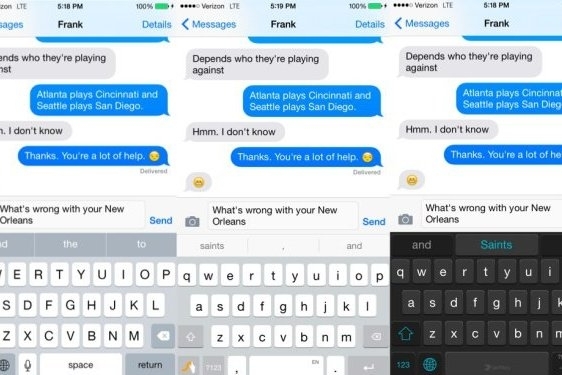 Which iPhone Keyboard Is Right For You? Swype keyboards for everyone! What keyboard will you enjoy using the most? With the new iPhone 6 and iPhone 6 Plus, there have been a bevy of changes that have come with them. Most notably, a suite of keyboards that have made typing on the iPhone smarter and easier have been made available, most of which were previously available for Android users for some time now. 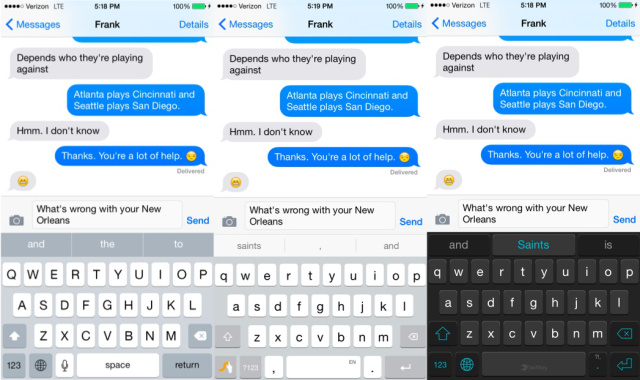 Now you don't have to settle for the iPhone's default keyboard and predictive text. Choose between Swiftkey and Swype. But which one is right for you? Here are a few things to keep in mind. SwiftKey learns from your typing: You can connect the app to your social networks such as Twitter and Facebook, or even Gmail so the app can glean what kind of writing style and vocabulary you already have. What SwiftKey has learned stays in the cloud: SwiftKey provides a free Cloud service that allows you back up the dictionary that's built over time as you continue to use it, so you don't have to lose all of that information should something happen to your phone. Some punctuation issues: SwiftKey may be good with learning what you're going to say, but it does tend to have some problems with punctuation, spacing, and other small issues that you may get frustrated with should you choose to adopt it. It's free: There's nothing to risk if you don't happen to think SwiftKey does anything for you, so download away! Swype is a little slower to learn, but it guesses the right phrase/word often: Swype often guesses what you're trying to say correctly on the first try without you having to "teach" it what you mean, but it does seem to take a little while to learn your vernacular. There's a price: If you're leaning toward Swype, it's likely you've used it before in some capacity, so you won't mind paying, but it's only 99 cents to purchase. Swype is generally more accurate: Swype is a lot more accurate in most cases than SwiftKey's Flow feature, with less errors in general texting. Numbers at your fingertips: You can access a full number pad with settings in Swype, so if you need to crunch numbers or access them quickly, you have a full complement of numbers at your disposal.